Stan Buturla* (Ernst Cassirer) Acting experience includes such roles as Coriolanus at the Soho Rep, The Duke in Measure for Measure and Teddy in The Homecoming at Classic Stage Company and Smirnov in Checkov’s The Bear at the original Manhattan Theater. He has also performed the role of Dr. Dorn in Checkov’s Seagull at The Abingdon Theater and Theater Lab. He played the role of Mark Erdman in Iddo Netanyahu’s play A Happy End at CCNY. He has also appeared at The Metropolitan Theater as Dr. Dexter in The End of Summer directed by Alexander Harrington. His latest theatrical performance was also at Theater for the New City where he performed in the play One Drop written by Pulitzer Prize nominee Andrea Fulton. Hehas appeared on TV and acted in many independent films. He is happy to be back at Theater for the New City and working with Alexander Harrington again! 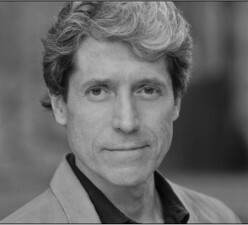 Joris Stuyck* (Martin Heidegger) last appeared at Theater for the New City playing Bob Smiley (thinly disguised Bill Clinton) in the satirical musical Heather Smiley for President. Other stage roles in NYC include Bishop Guzmán in The Road to Damascus for the Directors’ Company, Prospero in The Tempest for Hip to Hip, Jack Straw in Guantánamo at the Culture Project, and various Shakespearean roles for NY Classical Theatre. Regional theatrical roles include the title role in Sherlock Holmes: The Final Adventure (Cincinnati Playhouse), Montano in Othello (D.C. Shakespeare), and Doc in The Medal of Honor Rag (Shadowland). English credits include Mickey in The Normal Heart with Martin Sheen at the Royal Court, Count Tibor in the film The Shooting Party, and lead roles in several British series and miniseries including We’ll Meet Again, Tender Is the Night, and Woman of Substance. U.S. TV credits include Madam Secretary, The Blacklist: Redemption, The Americans and Law & Order, as well as several miniseries, TV movies, and soap operas in the 1990s. Asa Lipton (Co-Video Designer/Associate Scenic Designer) is a NY-based designer, technician, and artist. He has worked on dozens of plays in NYC as a lighting designer, projection designer, and various other roles. He’d like to thank Lianne, Marsh, Alec, the entire cast and creative team, and his parents. Select projection design credits include: *mark at LaMaMa ETC, Earthsavers with Pono Educational Program, How To Live on Earth with Colt Coeur (Associate). Select lighting design credits include: Alex & Eugene with Isle of Shoals, We Are a Masterpiece with Retro Productions, The Recruiting Officer with Pickled Dog Productions, Good Boys and True with Retro Productions. For Noah. 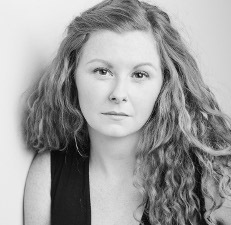 Courtney Fenwick (Associate Producer) is a producer, actor, vocalist and writer. She earned her BA in Theater at the College of Charleston in South Carolina, and has been a Theater-making New Yorker for over ten years. As a producer with AntiMatter Collective, her previous projects include The Tower at HERE Arts Center, Demonology, and Motherboard. Other notable projects: Killer Joe and A Number (Pure Theatre), The Will-A-Thon (The Workshop Theater), Blood Wedding (Center Stage), Richard III (The Shakespeare Project), and Telephone/Landscape (Target Margin Theater).